What happens in the Norton Village Center impacts us town-wide. So, be heard! The future vision of the Village Center is driven by the community. Local, state, and regional stakeholders are guiding in the project, and public input will be sought at all stages. 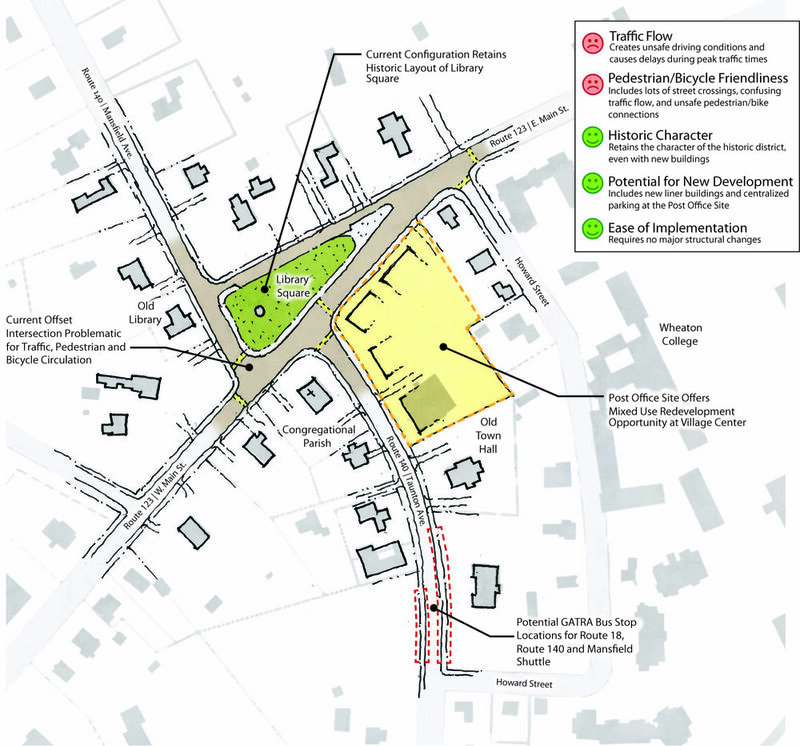 On March 13, 2019, during a public meeting, residents and stakeholders gathered to review and discuss the final plan for the Village Center. CLICK HERE to see the presentation. On September 27, 2018, during a public open house at Wheaton College, residents and stakeholders gathered to review and discuss proposed alternatives to address the intersection at Library Square. They also weighed in on their preference for building character in the Village Center.